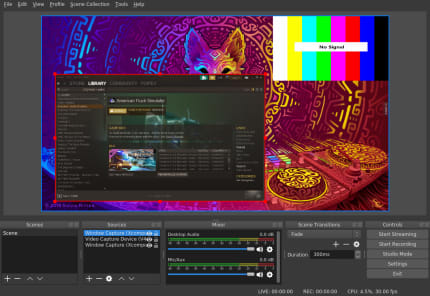 This is an unofficial build of OBS Studio. Please file issues with this snap at https://forum.snapcraft.io/t/call-for-testing-obs-studio-snap/4298 - not at the upstream bug tracker. 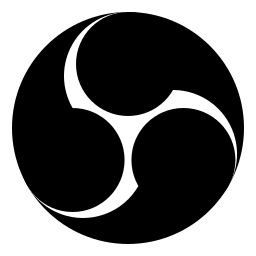 OBS Studio is software designed for capturing, compositing, encoding, recording, and streaming video content, efficiently. From version 23.0.0 onwards, we have added support for nvenc and VAAPI hardware accelerated GPU encoding to the snap. It's distributed under the GNU General Public License v2 - see the accompanying COPYING file for more details. Newer releases of OBS have an issue when using nvenc where some textures in game appear black / blank. An older build of OBS has been built and pushed to the candidate channel as a temporary workaround. To install the older 21.0.2 release of OBS-Studio, either install from the candidate channel. Or, if you already have the snap installed, refresh to the candidate channel.